I don’t know about you but I’ve been suffering from nails that are breaking, chipping and flaking for a long time. I remember having strong, healthy and long nails back in the days when I wasn’t using acrylics and gels. However, since I started, I’ve been facing this issue. Also, I might lack vitamins, and that might contribute to their weakness. However, I think that the acrylics and gels damaged my nails to the point that they were begging me to stop and pay more attention. I’m sure that most of you’re facing the same issue. And that’s why I wanted to write this article and help you grow stronger, healthier and longer nails, again. One of the best ways to do it is with a nourishing and restorative nail strengthener. If you apply on a regular basis, it can do miracles for your nails. It’s recommended that you apply any nail strengthener at least once or twice per week in order to restore your broken nails. If you have never used this type of product before, don’t worry. I have your back. In this short article, I have explained what’s a nail strengthener and how to pick the right one. I have also made a list with the top nail strengtheners that I have tried and I recommend. What is a nail strengthener and why do I need one? How much should I spend on a nail strengthener? As you already suppose, the nail strengthener comes to help when you’ve made damage to your nails. So, if you’re a fan of acrylic and gel manicures, or keep your hands in cleaning products or water all the time, you might need a nail strengthener to maintain your nails. A nail strengthener will not only repair your nails but also protect them from the harmful chemicals, especially after a manicure. It will help you protect and restore your weak nails. However, it’s important to know that results don’t happen overnight. You will have to use it on a regular basis, let’s say, at least once or twice a week in order to notice visible results. If you’re interested in buying a nail strengthener but don’t know how to pick the best one, I’ve reviewed the top 10 best nail strengtheners on the market that will blow your mind. If you want the perfect nails, you will have to use the perfect product that will help you in the process. Just scroll down and pick the one out of these top 10 that meets your wishes. If you want fast results, you should definitely get Julep Oxygen nail treatment. It’ll take excellent care of your nails and make sure they grow strong while looking polished and nice thanks to the sheer color. It’s one of the best treatments because it allows your nails to breathe. It protects your nails from aging thanks to the nutrient-rich formula that has a protective UV filter, anti-aging plant cells, and nail-boosting Hexanal. However, you will have to use it on a regular basis to notice the results. It is suggested that you apply the treatment on clean nails. Use it once or twice per week for best and visible results. Another quality nail strengthener that certainly deserves your attention is the Londontown Kur Nail Hardener and base coat. It’s designed to both moisturize and strengthen the nails at the same time. If you use this nail treatment, expect your natural proteins to get back in balance and prevent your nails from peeling, cracking and splitting. It’s recommended to you apply this treatment once or twice per week. Allow the nail hardener to penetrate and bring back the balance of your nail proteins and oils in order to help you grow healthy nails. The formula has been made with Britain’s rapeseed flower oil and a mix of natural extracts and vitamins to restore the moisture to weak nails. If you have weak nails in need of repair and strengthening, this is the product for you. It’s made with calcium and wheat protein, just what your nails need to grow strong and healthy again. OPI nail hardener will help you regain the shine and beauty to your nails. It’s suitable for women and men. Have I mentioned that this nail strengthener is used by beauty salons worldwide and approved by most nail professionals? Damaged nails will no longer cause you headaches. All you have to do is get your hands on this treatment and let the formula do the rest. Thanks to the proteins and calcium in the formula, you will get healthy long nails. OPI can be used as a single treatment. But, you can also use it as a base coat alternative. Just like the name says, this is the perfect formula repair coat that will take perfect care of your nails. It’s the ultimate product for strengthening, conditioning and restoring nails. It transforms splitting, peeling, and thin nails into stronger, healthy-looking nails that will prove everyone how much you care about your nails’ appearance. Did you know that nails are the first thing that people notice about you? According to your nails, they decide if you’re someone who takes good care of their health and appearance or not. It works like a miracle on damaged, easily broken nails. 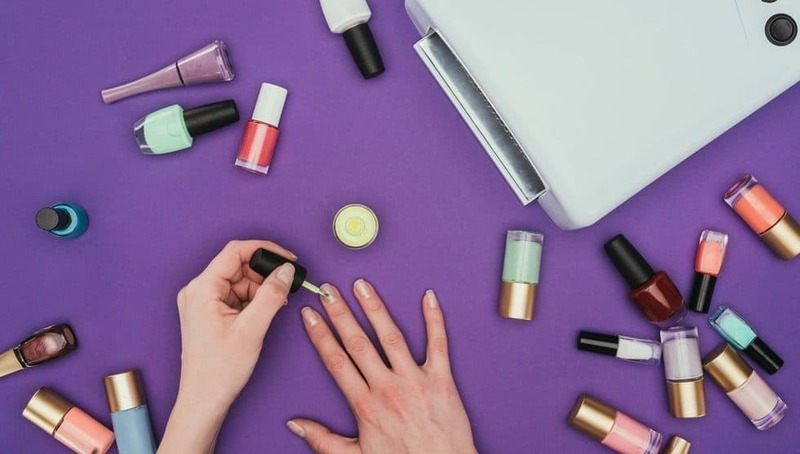 Designed by one of the largest nail polish manufacturers in the world, Shari Gottesman, it’s the product that will make everyone admire your nails. An interesting fact about this nail treatment is that the formula was inspired by the owner’s personal nail problems, which makes it relevant. Definitely, one of the best on the market. Nailtiques nail protein formula includes hydrolyzed keratin in combination with calcium and gelatin that will help you grow strong and healthy nails without a doubt. The best formula that ties with the nail layers and builds a strong nail foundation, preventing your nails from splitting, chipping and peeling. A highly effective, top-quality nail treatment that you can’t miss out. I’ve used this product before. And I can confirm that it’s an excellent treatment that will not make you regret the cash you spent unlike nail treatments outside this list. It should be used every day. Store it in a cool and dry place and say ‘bye bye weak nails’. If you’re looking for a multi-purpose treatment for your nails that will act as a hardener and conditioner at the same time, this is the product for you. Nail magic will make sure you have strong and healthy nails in just weeks, however, only if you use it on a regular basis. It exists since 1960, which means that it serves the beauty community for 60 years and counting. According to the description of the product, it’s designed for weak and easily broken nails. It does miracles even for the weakest nails. All you have to do is shake the bottle before you use. Apply 1 or 2 thin layers twice a week. Sally Hansen Diamond Strength Instant nail hardener is on my list because I simply adore this product. It helped me in my worst days when my nails were looking worse than ever. I remember using this product for a couple of weeks and being amazed by the results. That is why I wanted to mention this hardener and help you deal with nail problems immediately. It’s one of the rare products with advanced real micro-diamond and titanium formula that actually works. It instantly bonds to seal and strengthen weak and fragile nail layers with a protective, shatterproof shield. It prevents your nails from breaking, splitting and tearing. Most customers claim that they’ve noticed amazing results at first usage because this nail hardener provides 10 days of protection. Healthy-looking, strong and long nails don’t have to be a part of your imagination no more thanks to the Sally Hansen nail strengthener. This isn’t just your ordinary nail hardener. It’s more than that. It’s the ultimate treatment that will optimize your nails in one-step. A multi-purpose nail fortifier that will bring back the life into your nails and help you grow them long and strong. The enchanted formula will feed your nails with calcium, proteins and all the other vitamins they lack. It doesn’t have DBP or toluene in the formula, so don’t worry about harmful ingredients. It offers a great shine finish in record dry time. Who wouldn’t want that? It’s every person’s dream to have the nail hardener that will repair, protect and boost their nails in no time. However, I have to be honest with you. It does contain a small dosage of formaldehyde. Still, it takes good care of your nails, unlike other partners which don’t contain this ingredient but don’t have a good reputation on efficiency as well. It’s recommended that you apply the product and let it repair your nails for a week. Remove it with non-acetone polish remover and repeat. If your dream is to have healthier, stronger and longer nails that will make every person in the room jealous, Barielle nail strengthener cream is what you should use every day. It’s a breakthrough formula that will help you bring back the balance and strength of your nails in a few weeks. It was originally designed to condition and maintain the hooves of million-dollar thoroughbred racehorses. They’ve decided to reformulate it after proving that it works excellent on humans as well. Since then, it throws shade over other products on the market. A product that’s suitable for both women and men. In order to notice results, you will have to use this baby at least 2 – 3 times per day. One of the best ones on the market. Last but not least, ella+mila nail strengthener is one of the best because it has one of the greatest formulae. It contains vitamin B5 or calcium pantothenate known to stimulate the reproduction and growth of nails. It also contains vitamin A or retinyl palmitate. However, it doesn’t contain any harmful ingredients like toluene and formaldehyde. If you want the best results, follow these application rules for 4 weeks and you will get your strong nails. After, you can continue using the hardener as a base coat. And enjoy your enhanced, long and strong nails. Definitely one of the best nail hardener I’ve tried in my entire life. Nail strengtheners, also known as nail hardeners are one of the best ways to treat, repair and build the perfect nails from scratch. They help you strengthen weak and broken nails. However, it’s natural to wonder what are they made of and how do they actually function. According to beauty experts, a nail strengthener is a treatment that contains proteins to encourage stronger and healthier nail growth. Combined with the natural proteins in your nails, they bond the protein chains in order to make your nails grow stronger and better. One of the key components is ethyl acetate. It’s the main ingredient that ties components together. However, most nail strengtheners also contain calcium. It balances the structure of the nail plate surface. Meaning, it’s very useful for weak or soft nails that easily break. Most experts recommend that you use a nail strengthener a couple of times per week and wear it with or without nail polish. If you want the best results, you should apply a layer of nail strengthener every day until you finally change your nail polish color. Although most nail strengtheners are made with safe ingredients, there are products that might contain formalin or formaldehyde. If you’re buying a nail strengthener for the first time, you should pay attention and read the ingredients list. Otherwise, you can cause more damage than good to your nails, if you pick the wrong, harmful product. Formalin or formaldehyde is dangerous for the nails because they immediately harden the nail but with time, the nail becomes breakable and fragile again. Also, these chemicals may cause your nail to separate or lift off the nail bed, which can be very unpleasant and nasty. Another disadvantage of products that contain these harmful bad ingredients are allergic reactions. Your skin might become very irritated, painful and swollen. According to recent studies on nail strengtheners that contain these bad ingredients, they’re also carcinogenic. Most professionals believe that there are simpler ways to protect, repair and grow your nails. First, always check the ingredients list of what you’re buying. Second, when you take care of your nails at home, make sure that you’re buffing and filing correctly. Otherwise, you might cause breaking or weakness. When filling them, don’t ‘saw’ back and forth on the tip of your nail. Run in one direction. Start at the outside edge, pull towards the center and repeat, begin at the other edge of your nail. Pull towards the center again. Extra tip: Always wear gloves when washing dishes or cleaning with a product that contains harsh ingredients like alcohol. If you haven’t heard by now, alcohol has a bad effect on the skin and nails. It weakens your nails and makes your skin dry. Instead of repairing your nails and hydrating your skin after, it’s better to protect your hands before you start cleaning. Avoid acetone-based nail polish remover and detergents. If you believe that you lack vitamins and that’s the main reasons behind having weak nails, health experts suggest that you get a supplement fix like B vitamin biotin. Recent studies have shown that it strengthens fingernails. Just 2, 3 milligrams of biotin every day might help your nails grow faster and stronger. However, if you’re experiencing nail weakening all sudden, they advise that you visit a dermatologist because due to internal complications. If you’re not interested in buying a nail strengthener or simply want to try something more natural before you do, I’ve made a list of home remedies that have proven helpful for some people. Made with ingredients that you can find in your kitchen, they might deserve a shot. I’m sure that you’ve heard about the magic effect of lemon juice on nails. It’s a bleaching agent that can help you remove yellow stains. However, it can also help you grow stronger nails thanks to the vitamin C. Take a bowl and mix 3 tablespoons of olive oil, a tablespoon of lemon juice and put the mixture in the microwave for 20 seconds. Soak your nails in the mixture for 10 minutes and repeat the process on a daily basis. An alternative method is slicing a lemon in half, rub your nails with the slices and wash off your hands with water. Coconut oil is perfect for fungal and cuticle infection. It’s a natural nail moisturized but it can also help you grow stronger nails. Did you know that cuticles help your nails to grow? If not, now you do. And coconut oil protects the cuticles, meaning it will boost faster growth. Just take extra-virgin coconut oil and warm it into your fingers, every day. It’s suggested that you use it before you go to bed. Massage it into your nails in circular motions to boost blood circulation. Alternatively, mix ¼ cup of honey, ¼ cup of organic coconut oil, 4 drops of rosemary essential oil and leave it in the microwave for 20 seconds. Soak your nails for 15 minutes. Repeat the process once or twice per week for strong nails. As I just mentioned, cuticles boost nail growth. So, moisturizing your cuticles is crucial in growing stronger healthy nails. And one of the best natural moisturizers is olive oil thanks to the vitamin E and deep penetration. It will take good care of your cuticles and help your nails grow stronger and healthy. All you have to do is massage your hands with warm olive oil for 5 minutes every night. Pay extra attention to the cuticles. It’s suggested to wear gloves when sleeping. If you do this continuously, your cuticles will be very thankful. Just like lemon, orange juice contains vitamin C and folic acid, which makes it a great cure for weak nails. Folic acid helps your nails grow faster and stronger, while vitamin C boosts collagen production. If you don’t know what collagen is, it’s the main protein which is crucial for skin growth, located in the tendons and ligaments. Soak your nails in a bowl with fresh orange juice for 10 minutes. Wash off with water and apply your favorite hand cream. If you’re looking for a quality nail strengthener, it shouldn’t cost more than $30, however, pay attention to the formula. Some nail strengtheners have a multi-purpose formula. They can be used as a base coat and top coat. Others have sheer color in order to provide a nice and polished, healthier look. So, expect these to be more expensive than the regular ones. If you stuck till the very end of this article, it’s clear that you’ve learned your lesson and you’re aware how much nail care is important. I have shared my knowledge on nail care with you together with some cool tips that will help you grow stronger, healthier nails. If you’re down for trying some of the products I’ve reviewed, do it without hesitation. I’ve had them in the past. And I can sincerely tell that you can’t go wrong, no matter which one you pick.